It's spring, and that means people are out in their yards and gardens, enjoying the nice weather and getting their hands dirty. I'm not really a gardener. 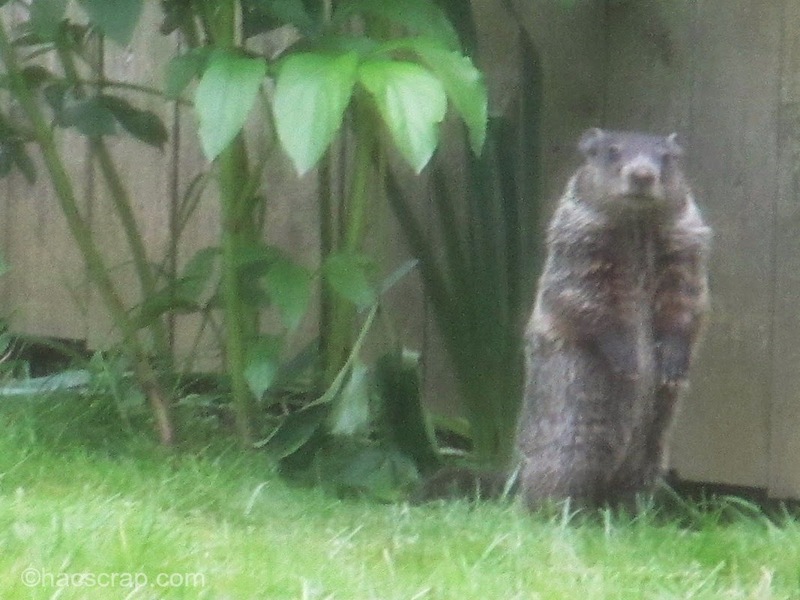 I try . . .for the last few years, I have been thwarted by a family of groundhogs. This year, we are going to try strictly patio gardening. Thanks to Stonyfield and the folks at High Mowing Organic Seeds, we have some awesome vegetable seeds to help get our garden started this year, just in time for Earth Day. There's a lot of talk about organic these days, but why should we bother with organic seeds? According to the folks at High Mowing, organic seeds are selected from the healthiest plants growing in organic conditions. That meas they are adapted to thrive in those conditions, so if you grow or garden in organic conditions, you'll have the best results with organic seeds. I typically don't do much when I garden. I use the soil native to my yard we don't use pesticides or other toxins on our lawn or plants. This year, I purchased some organic choice potting mix to add to my pots. 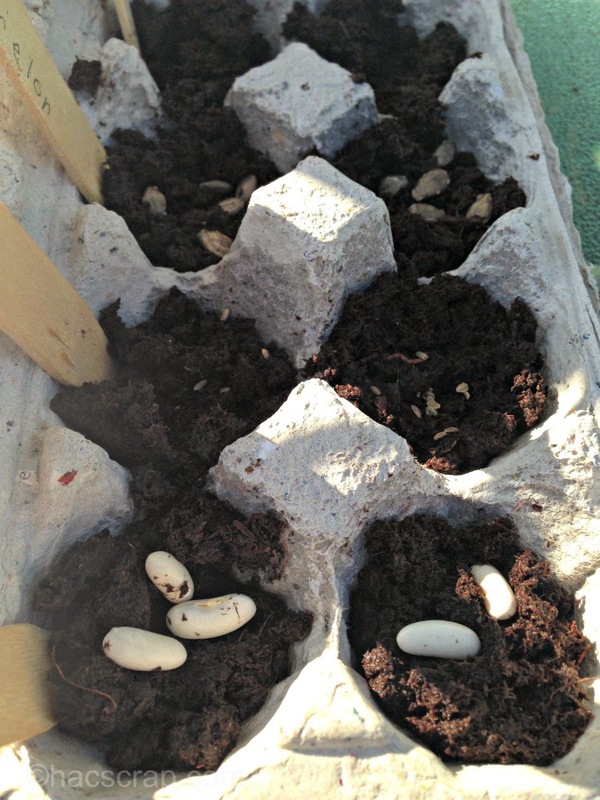 We're using little peat pots and egg cartons to start our seeds. Refer to your seed packet for best results and planting instructions, but generally you can start the seeds indoors and then transplant the seedlings outdoors. You should prepare your potting soil by mixing it with water until it's moist - but not soggy. This is a great task for kids and you can use a large mixing bowl or clean sand bucket for mixing. If you're using containers, be sure to poke small drainage holes in the bottom first (some ideas include cleaned out yogurt cups, or small plastic drinking cups). Plant a few seed per container. After seeding, water lightly. It's important to not let the soil dry out during germination, but equally important not to over water (this is the hardest part for me). After your seedlings emerge, you can thin them to one seed per container by pinching off the unwanted plants at the base of the stem. For best results, your seedlings need about 10 hours of direct light a day. Not familiar with High Mowing Organic Seeds? They are the nation's largest 100% certified organic seed company in the US. They also recently became the very first company in the nation to offer 100% Non-GMO Project Verified seeds. It makes me feel good to know that I am supporting family farms and helping to sustain a type of agriculture that provides a safe environment for the bees and other pollinators that produce one third of all food on earth. Are you planning a garden this year? What types of plants will you be growing? I received seeds from High Mowing Organic Seeds as part of my yo-Getter relationship with Stonyfield. I never considered myself a gardener before I had kids but I quickly found that it was one of the best ways to spend some time together outside, enjoying the fresh air, and doing something meaningful! Over the years our backyard garden has grown and we've truly reaped what we have sown! I can't wait to see your garden harvest this summer! You're off to a fantastic start! I have such high hopes for starting a little garden here someday. I LOVE that we can get 100% Non-GMO Project Verified seeds to use, because I wouldn't want to start a garden any other way. 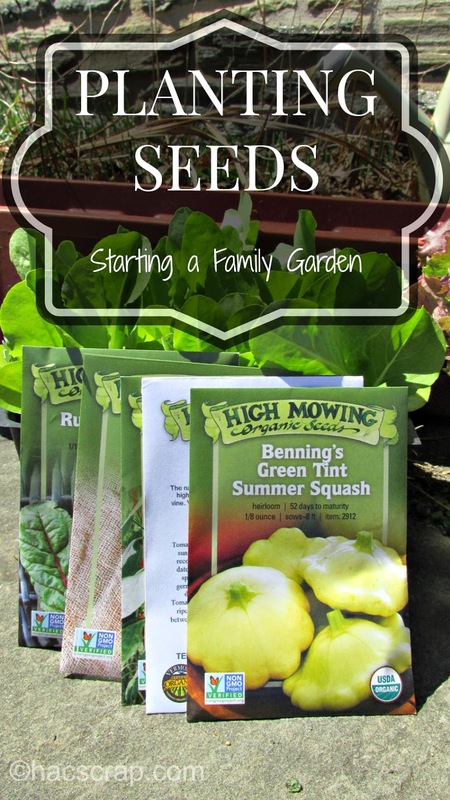 Can't wait to see how your garden grows!